Here comes another blog post with the mention of an event!!!! 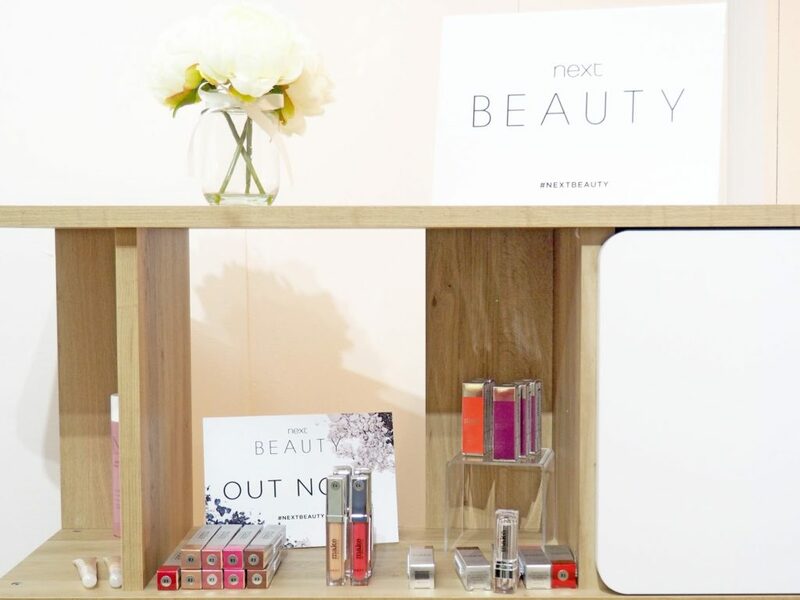 So last month, I attended a Next event to celebrate the launch of a whole new collection of products for the Next Beauty range! I’ve never associated Next with makeup and body care before, so it was really nice that I was given the chance to test out some new products and see what they had to offer! Other than having some gorgeous Instagram-friendly products on display during the event, they also had makeover, manicure and brow stations where we could get pampered! In addition to all of that, Next also invited Lydia Millen to do two live makeup tutorials featuring a day time look and a night time look. I was super excited to see Lydia in person as I’m a huge fan and I love her classy style! The looks she created were beautiful and really enhanced her gorgeous features. I was lucky enough to try some of these products for myself and create my own Next Beauty look! The products that I was able to test were Make Me Beautiful Eye Palette, Make Me Beautiful Bronzer, Make Me Beautiful Cherry Red Lip Chubby and Nail Polishes in the shades Frozen and Molten Platinum I must say that the eyeshadow and bronzer looked absolutely stunning! There was so much shimmer on both and you know how much I love shiny things! 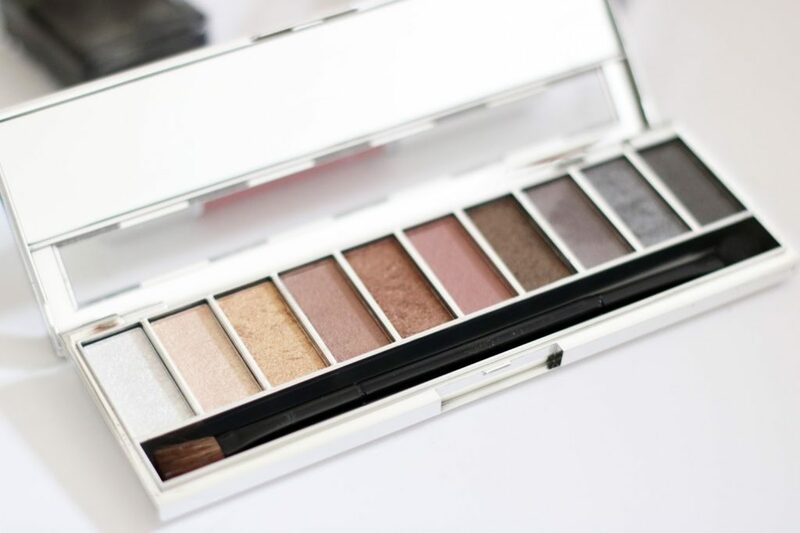 I must admit that I have an overload of neutral coloured eyeshadow palettes, but the Next Beauty palette quickly made it’s way to my top 5 palettes because it’s so small and versatile! I’m always on the go, so it’s nice to have a palette that fits nicely in my bag! The colours are really natural and because of the range of light and dark shades, you have the option to create multiple looks with one palette. However, the colours aren’t as pigmented as some beauty brands that specialises in makeup, but it does build up and you can always apply a primer to make the colours stand out more and last longer! The brush included in the palette isn’t very good, but I tend to stick to my beloved Real Technique brushes anyways. 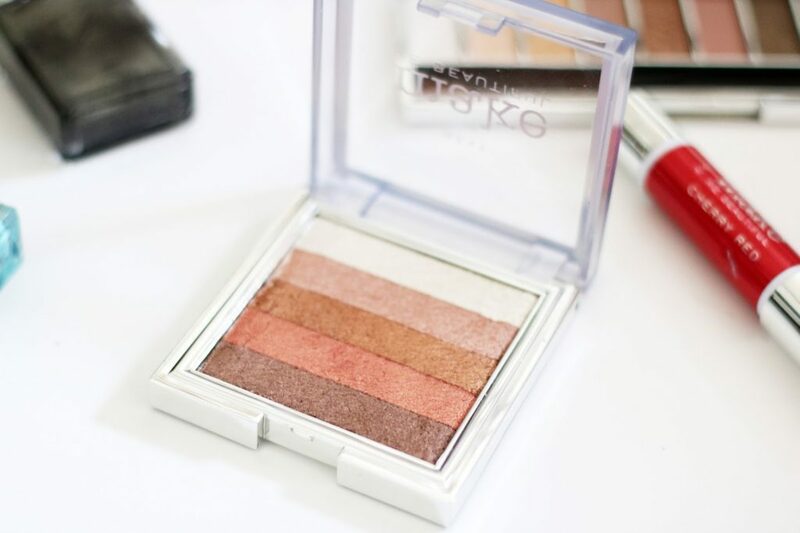 The Make Me Beautiful Bronzer reminds me a lot of Bobbi Brown’s shimmer bricks, but four times cheaper! 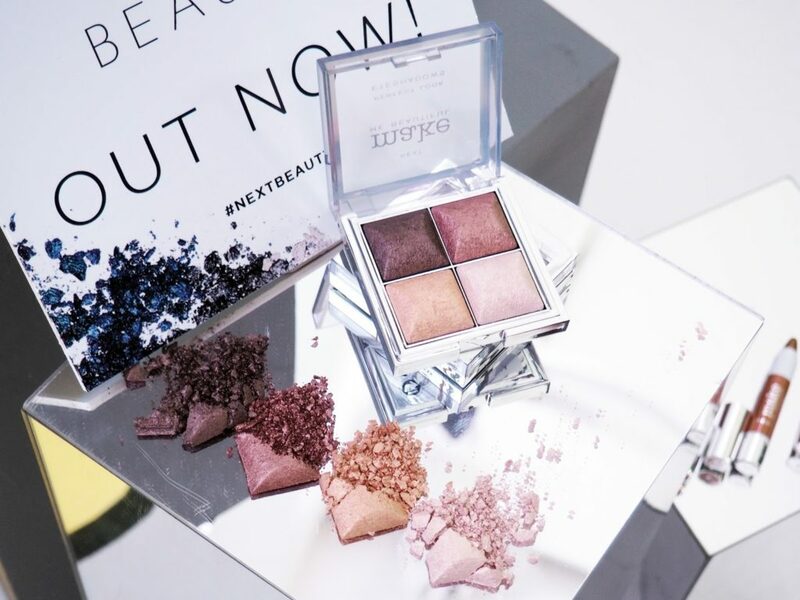 There’s so much shimmer in this palette and it comes in a gradient of colours! Instead of blending, I like to sweep the bronzer from left to right with a big flat brush and apply it to my cheeks with the lightest shade against my cheekbones and the darkest shade against the hollow of my cheeks. This way, I’ll be able to get that sculpted beach glow simply with a couple of sweeps on each cheek! 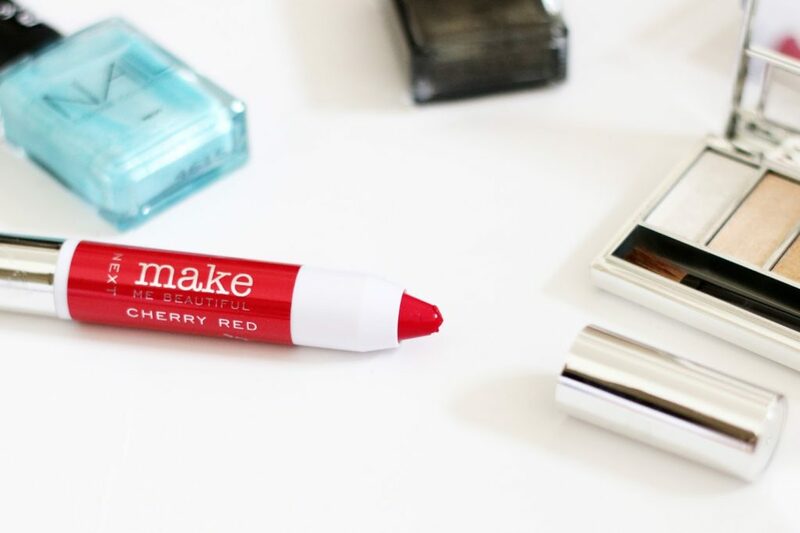 This is another product that’s taken inspiration from a bigger makeup brand. This Lip Chubby is very similar to Clinique’s Chubby Stick. The colour I received is Red Cherry, which looks like dark pink leaning towards the red colour spectrum when applied. Nevertheless, I think this colour looks gorgeous on and gives that playful bright colour without looking as fierce as pure red! The nail polishes I have here are Frozen and Molten Platinum. The shade Frozen does indeed remind me of “Frozen” because it’s filled with chunky blue glitter immersed in a shimmery base. I would say that the shades are perfect for winter, but Next Beauty do offer an impressive range of colours for all seasons and occasions! 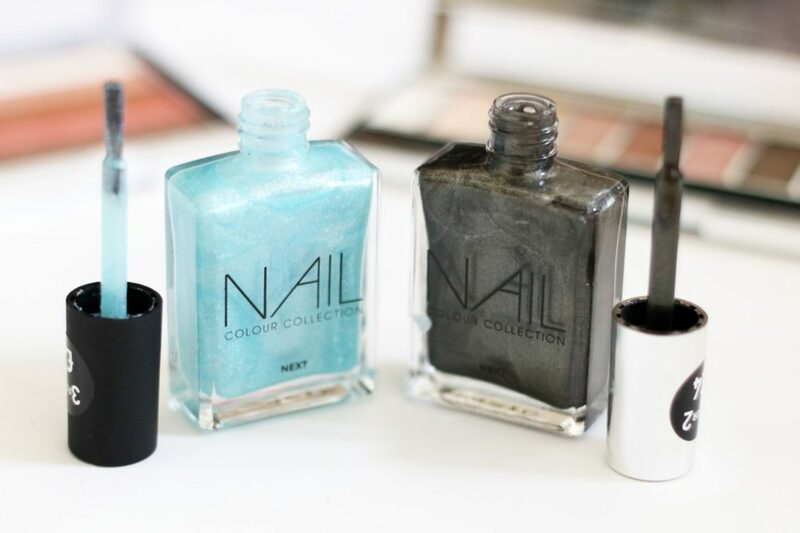 The nail polish shades are really beautiful and lasts for ages! It’s the first time I’ve tried beauty products from Next, but I’m really happy with the overall look and quality of the products! Most of these Next Beauty products remind me of high end brand dupes, but for a third of the price. You definitely get what you pay for!